Your child is on the verge of moving out and living on their own. Are they prepared? Arming them with the right personal finance knowledge will give them a strong foundation to go and achieve many of their life goals. If their understanding of personal finance is lacking, they could begin their independent life on the wrong foot (and they may even come back home). 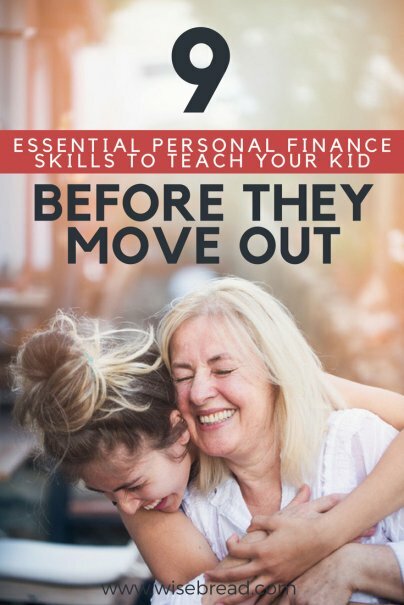 Consider these ways that you can help your child build a base of financial knowledge before they move out. If your child is moving out, they likely have some earned income. That means they can start contributing to a Roth individual retirement account. They may scoff at the notion of saving for retirement so early, but if you help them open a Roth IRA and demonstrate how much money they can accrue over time, they'll get on board. Urge them to save as much as they can each month, invest in simple things like index funds, and simply watch their account balance grow over time through compounding. Chances are, your child already has a savings account. But it's still helpful to explain that they don't necessarily need to put their money in the first bank they see. Show them how interest rates can vary, and that it's OK to shop around for the best rates so they can earn a little extra money. Explain terms like APR and APY, and the factors that impact whether rates go up or down. Credit cards can help a person establish credit, and that's important when you are starting out. And some credit cards offer nice benefits, such as cash back on purchases or travel rewards miles. When your child leaves home, they may be focused on finding a job that pays a high income. That's fine, but it's important for them to understand that income alone is not what generates financial security. It's more crucial to acquire assets that increase in value, while eschewing things that will decrease in value or be a drain on your finances. Saving money isn't always about spending as little as possible. It's also about spending your money wisely and getting the most bang for your buck. For example, if your child needs to purchase a refrigerator for their apartment, convey to them that they should seek out the best quality model at a price that fits their budget. You don't need to teach your child how to replace a catalytic converter, but it helps if they have a decent foundation of car knowledge. Teach them how to put air in a tire and change the tire. Demonstrate how to swap out a headlight bulb and replace a hubcap. Urge them to read the car's manual and learn what all of those warning lights mean. Get them in the habit of changing the oil every few thousand miles.